As more and more people are being priced out of homeownership in Portland, two local nonprofits are working to get more black and Latino homeowners to purchase homes in Hillsboro. Bienestar, which operates several low-income apartment complexes in western Washington County, has partnered with the Portland-based African American Alliance for Homeownership to encourage people to buy in Hillsboro. The two have partnered on a new collaboration, known as Partnership for Hope, which will work to help low-income families get out of rental markets and purchase their own homes. "Housing prices in Portland exceed most folks' income," said Cheryl Roberts, executive director with the African American Alliance for Homeownership. "They can't buy. What was, traditionally, home of African Americans in Portland now has them leaving those neighborhoods. They can't afford them anymore. For people who want a single family home, that's a thing of the past." But that's not true in Washington County, Roberts said, where home prices — while rising — haven't skyrocketed to the levels Portlanders are dealing with. That's where her organization comes in. AAAH offers counseling and classes for homebuyers on everything from foreclosures and loss mitigation to proper budgeting techniques, and how to work with lenders and Realtors. AAAH plans to offer its counseling and home buying programs to residents living in Bienestar's low-income apartments, to help them graduate from renting properties to owning their own. "We know that a safe, stable affordable home is the key to great outcomes," said Nathan Teske, Bienestar's executive director. Bienestar maintains more than 500 units of affordable housing in the county through rent-controlled apartment complexes. The organization helps Latino families and farm workers primarily. Many of Bienestar's residents moved into the apartments at times of great need, Teske said, but have since gotten themselves into a stronger financial situation. "There's a certain percentage of our households who should or could start thinking about building assets for the long term," Teske said. "Some might be ready for home ownership and don't even realize it." Bienestar hasn't traditionally focused on homeownership, Teske said, but getting families into their own homes is a win-win for the community. "We're interested in boosting our families' financial health," Teske said. "Financial education is important and this is an opportunity for us to do that." By working with AAAH's programs to walk families through the process, Teske hopes some current Bienestar residents will be able to find permanent homes for their families for generations. This week, some Bienestar families have begun one-on-one sessions with AAAH counselors in English and Spanish. "They can develop a plan and a budget and a timeline to move to home ownership if people are ready," Teske said. AAAH is planning a home ownership fair this summer, and will take potential buyers on bus tours of for-sale homes several times each year. The partnership is paid for through a three-year grant from Umpqua Bank, which has donated $1 million to Portland-area nonprofits that work with the less fortunate. Cobi Lewis, Umpqua's senior vice president of community relations, said the partnership between Bienestar and AAAH is unique. "It brings AAAH's skills to Bienestar's residents, and, at the same time, can help people trying to purchase a home in Portland look at a community where the prices are still affordable," she said. It has other benefits, too, Teske added. "We have long wait lists for low-income people who are ready to move in to our properties," Teske said. "If we are able to free up a unit, that means somebody who needs it can have it. If you move into a home, it's a win for them and win for us have apartment to offer someone on the waitlist." Hillsboro has seen an explosion in its population in recent decades. Latinos make up nearly one-quarter of city residents, and the city is seen as one of Oregon's most diverse communities. But Hillsboro has few black residents. According to census data, black families make up less than 3 percent of the city's makeup. "We're getting on at the beginning of a great evolution that Hillsboro's going through," Roberts said. 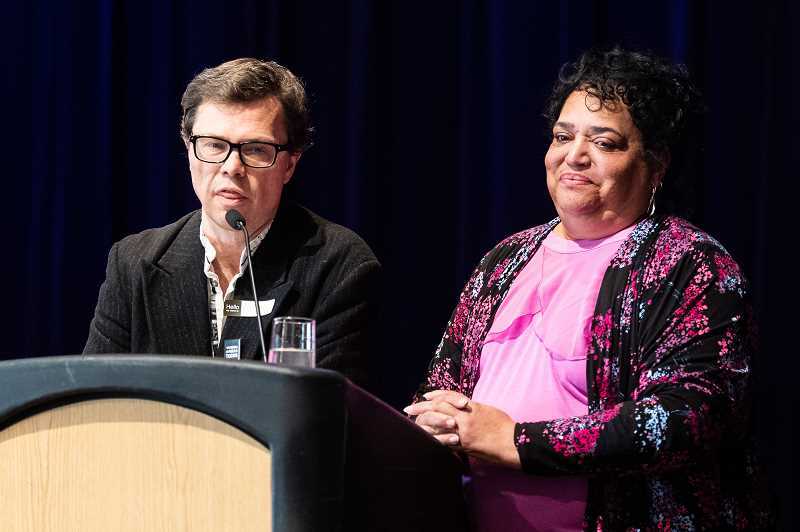 Latino and black families have long been denied the opportunities to purchase their own homes, Teske said. Home ownership among white families is twice the rate for Latino families, and studies have shown Latino families seeking home loans are turned down at higher rates, Teske said. While the Portland-area's rising housing costs have impacted everyone, Roberts said, the high costs have increasingly put strain on families of color. 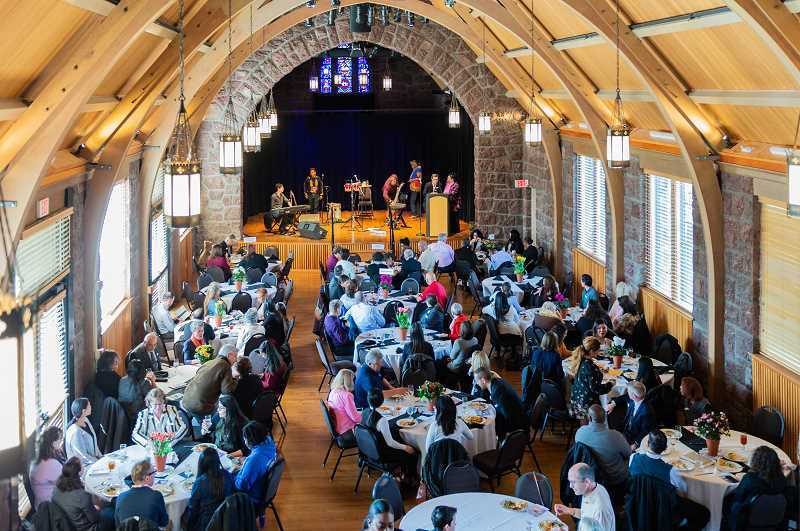 Roberts said in 1970, nearly 47 percent of Portland's black families owned their own home. In 2017, that number was around 29 percent. "I see a great disparity there," Roberts said. "…The systems have not been designed to perpetuate wealth for non-white borrowers." Home ownership is something many aspire to, Roberts said, but few people of color ever achieve. "That's what our communities of color are looking for," Roberts said. "They want to have a backyard, a garden, and a place where their kids can play safely. They want property that they own."